Almost 10% of Americans have diabetes mellitus, a disease that can significantly impact your quality of life. But if you have diabetes, you don’t have to suffer. Catching the disease early, managing it properly, and making healthy lifestyle choices is crucial. 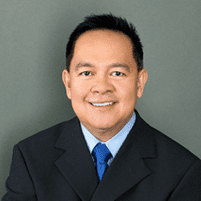 Internal medicine physician Dr. Gilbert Sunio at Sunmed Health and Weight Management in Visalia, California, can help you manage diabetes mellitus and lower your risk for diabetes-related health problems. Call or book an appointment online today to learn more. Diabetes mellitus is a health condition that occurs when your body can’t use energy from food properly. When you have diabetes, your body either doesn’t make enough insulin or isn’t able to properly use the insulin that it does produce. Insulin is a hormone that helps your body absorb sugar energy from the foods you eat. Without it, sugar accumulates in your blood, leading to high blood sugar and associated health problems. If left untreated, long-term unregulated blood sugar can cause problems with your eyes, hands and feet, heart, and nerves. Renal (kidney) failure can also result. Type 1 diabetes, type 2 diabetes, and gestational diabetes are different health conditions, but all lead to poorly controlled blood sugar. Gestational diabetes may go away after childbirth but can increase the risk of developing type 2 diabetes in the future. Dr. Sunio diagnoses diabetes using blood tests to determine if sugar levels in your blood are within a normal range. High blood sugar tests can indicate diabetes. If you’ve been diagnosed with type 1 or type 2 diabetes or have symptoms of diabetes mellitus, call Sunmed Health and Weight Management to schedule a consultation, or book an appointment online today.